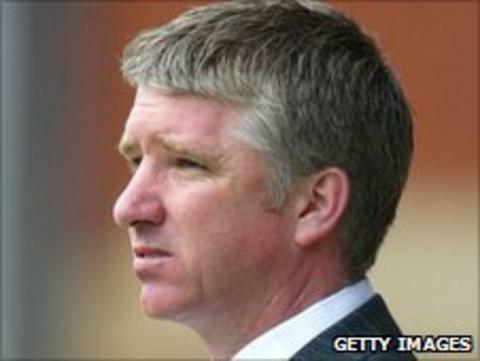 Torquay United have appointed former Cambridge and Leyton Orient boss Martin Ling as their new manager. The 44-year-old replaces Paul Buckle who left Plainmoor for Bristol Rovers last month. Ling has been without a job since being sacked by Cambridge in February after 18 months in charge. Gulls chairman Simon Baker said: "It is the beginning of an exciting new era at Torquay and we are proud to have Martin at the helm." Ling began his playing career at Torquay's Devon rivals Exeter City, making 117 appearances for the Grecians between 1983-86. Spells at Swindon, Southend, Mansfield Town, Orient and Brighton followed before he returned to Orient as manager in 2003. Ling led the O's to promotion from League Two in 2006, staying for a further three years until departing in January 2009 by mutual consent. Baker continued: "As a board, we are delighted to appoint a manger of Martin's experience and background. "We were pleased by the calibre of applicants for the role and Martin was the number one choice from this impressive collection of candidates." The move brings to an end Ling's negotiations with Cambridge over his severance package. The U's have refused to disclose details of the pay-off, which has taken over four months to finalise, but Abbey Stadium chairman Paul Barry stated: "We acknowledge Martin's professionalism throughout this process and we wish him every success in the future."